Rising seniors should map out deadlines early to help them stay on track with their college applications. Students should prep for college throughout high school, but for rising seniors time is limited. Applying to college can be stressful, but proper planning can help alleviate some of the pressure on students and their families. Students can use the following timeline to map out their college application process. 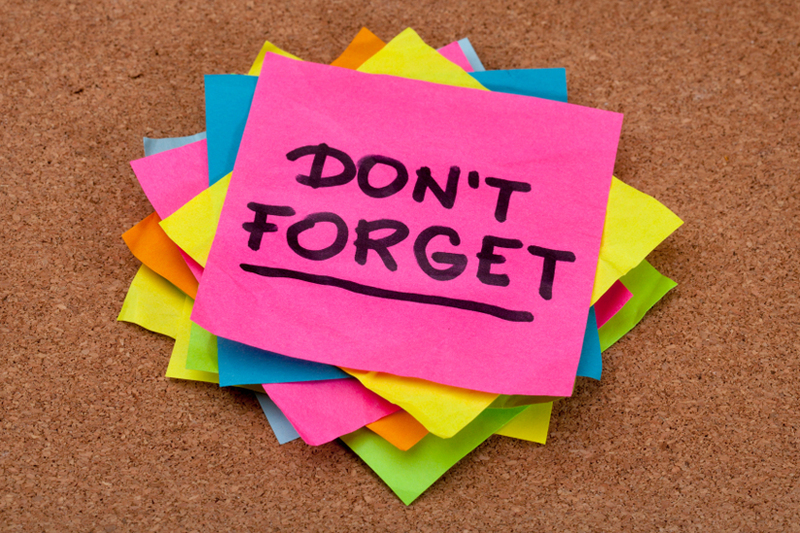 For a general timeline on when to apply for financial aid, students should refer to our college savings plan for 2014. Students who want recommendation letters from their junior year teachers should reach out to them before the school year ends. “It’s really ideal if you ask before the start of the summer because if you have a teacher who is on top of things he or she might actually write the letter over the summer, so you’ll have it when you come back to school in September,” says Elizabeth Heaton, senior director of educational consulting at College Coach. “As you’re putting your list of colleges together, you want to make sure you’re making note of the different testing requirements at each school,” Heaton says. 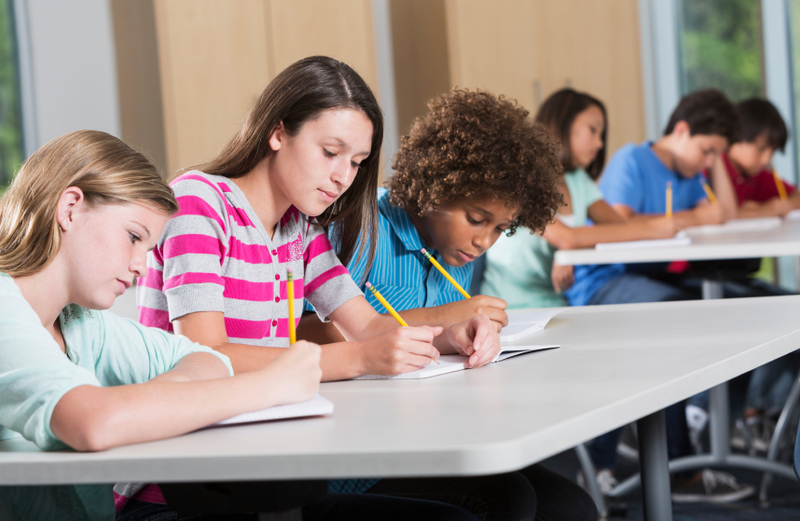 Most schools accept either the ACT or SAT, but some institutions require additional testing or make standardized testing optional. 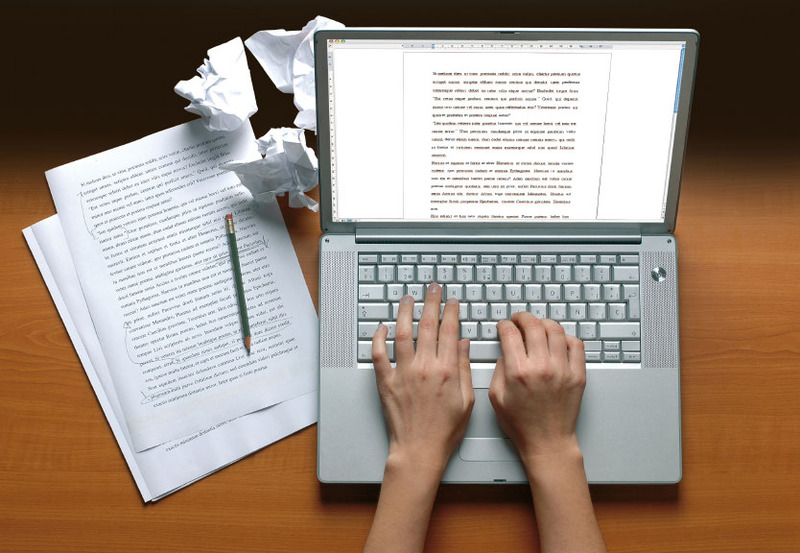 Application essays are one of the most daunting parts of the college application process, but students can get that part done during the summer. The Common Application has announced that essay prompts will remain the same for the 2014-2015 school year. The application will be available to students on Aug. 1. For schools that don’t use the Common App, Heaton says students can reach out to those institutions directly to ask about the prompts. Summer can be a great opportunity for students to see schools on their application list. 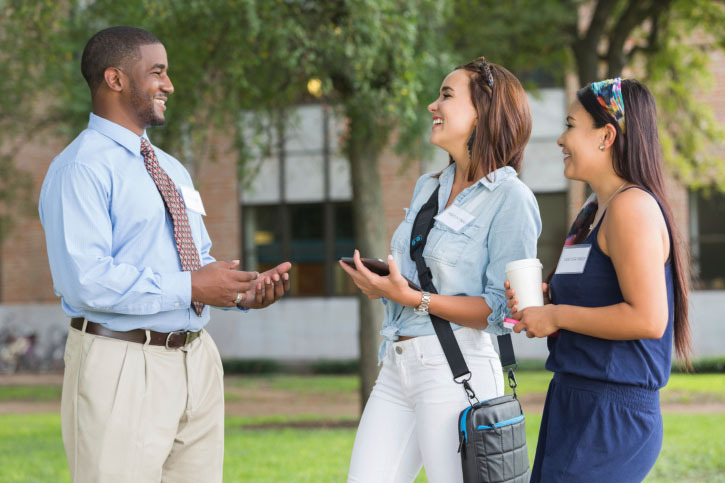 Many schools have programs and students on campus during the summer, so prospective students can still get a feel for campus culture and life. Fall is the best time to retake the SAT or ACT because it allows students to get their scores ahead of early decision application deadlines. It’s never too early to start searching for scholarships. Many national scholarships have fall deadlines, so if you haven’t started your search already, now is a good time to start. Heaton encourages students to map out their deadlines for the rest of the year. With school in session, managing time becomes more important, she says. Everyone who is planning on attending school should fill out a Free Application for Federal Student Aid. The application is used to determine what loans students can receive and award applicants with need-based scholarships. Learn more about some of the most common FAFSA mistakes. A summer job is a great way to build your resume and assist with some of your college expenses. Many summer jobs and internships start accepting applications for summer jobs in the beginning of a new year. Start searching now to hopefully have something secured by graduation. By now you’ve likely researched your top choices, gone on tours and analyzed your financial aid packages. The national response deadline for accepting a college is May 1. Students who haven’t secured a spot at an institution still have hope. Some schools still have places open after the May 1 national response date, but space is limited. From selecting dorms to negotiating financial aid, there’s a lot more to do after you’ve been admitted. Stay up-to-date on all of your paperwork, enjoy the summer and prepare for the new school year. Briana Boyington is an education Web producer at U.S. News. You can follow her on Twitter or email her at bboyington@usnews.com. Make sure you’re comfortable with the number of colleges on your list. The magic number depends on how much you can spend and the selectivity of your intended major. There are more than 1,000 four-year colleges in America. Most experts agree that it is important to submit college applications to several of them, but how many is “several”? As with most things in life, the correct answer is individual. “Several” is the number that allows you to confidently enter application season. Here, then, is a five-step guide to choosing your magic number. Before you begin to apply to colleges, take stock of your admissions-specific financial resources. Entrance exams like the ACT and SAT​ cost money, as do campus visits. 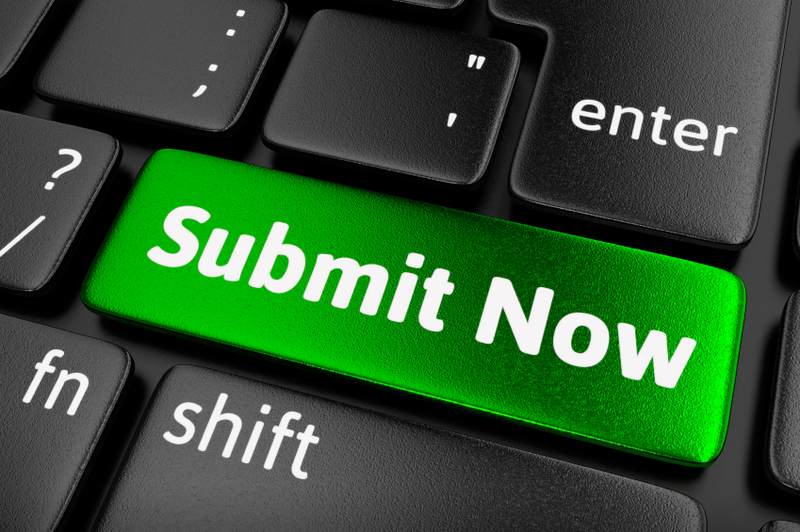 Even the applications that you submit carry a fee. While this is a small amount relative to the tens of thousands that you might spend on tuition, it does add up quickly. How many schools can you afford to apply to, given your budget? Note that you are eligible for four college application fee waivers if you took the SAT or an SAT Subject Test with a fee waiver​. 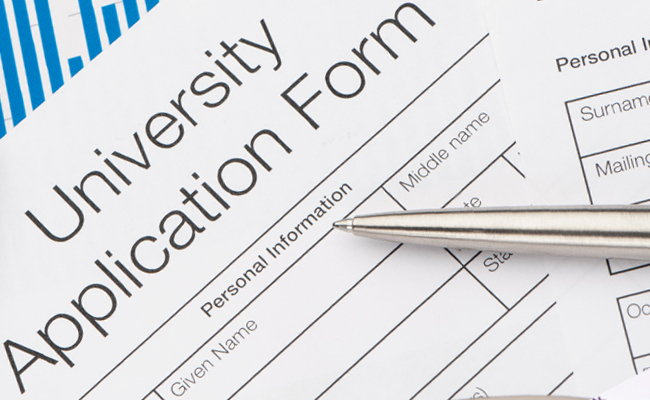 All Common Application schools accept fee waivers, but other colleges may not. Check a particular school’s policy here. If you intend to major in a particularly narrow field, you may find that relatively few colleges offer such a concentration. For example, there are only a handful of schools with an undergraduate degree in astrobiology. If your major is rare, apply to those colleges that offer it – you may ultimately apply to fewer schools than a prospective English major, but that is perfectly acceptable. A corollary to this step can be summed up in the following question: “How important are specialized university facilities to your career plans?” When I applied to college, I pictured a career spent studying particle physics, and having a functional particle collider on campus was one of my primary college decision criteria. Almost every college in the U.S. offers a degree in physics, but fewer boast of particle colliders. Even more relevant to my search was the fact that many large state schools required science faculty to include undergraduates in their research activities. Some small schools offered that opportunity too, but their research facilities were sometimes limited. If your prospective major is highly competitive, consider applying to a greater number of schools. This can help you ensure that you are admitted to at least one college in your program of choice. Many business and engineering concentrations, for instance, require an accessory admissions process that is often more rigorous than the one that the school as a whole uses. There is no hard and fast rule for determining the number of competitive programs to apply to. The upper limit on applications will be dictated in part by your budget. You can also speak with admissions officers to gain a sense of how competitive you will be for entry to a particular college or major. If you are set on a specific concentration, but your admissions portfolio is not ideal given the competitiveness of the major, you may want to apply to a larger number of schools – perhaps six to 10. Colleges vary widely in their culture, location, social environment and a host of other nonacademic features. Depending on your criteria, you may have a very short list of possibilities to work with – the Department of Education’s College Navigator lists exactly two private, nonprofit colleges located in rural settings in Alabama, for example. Another important need involves finances. If your tuition budget is limited, it may be important to you to attend a public college in your state of residence. In some states, this requirement may present you with just two or three choices, naturally shaping the number of schools you will apply to. I would recommend a minimum of three applications: one target school, one stretch school and one safety school. Even if you are positive that just one college is perfect for you, it is well worth having a backup plan. The more difficult problem lies in deciding your maximum number – in other words, how many is too many? Again, the goal is to feel as comfortable as possible as you begin to apply to schools. Ideally, you want to have several acceptance letters to choose from. 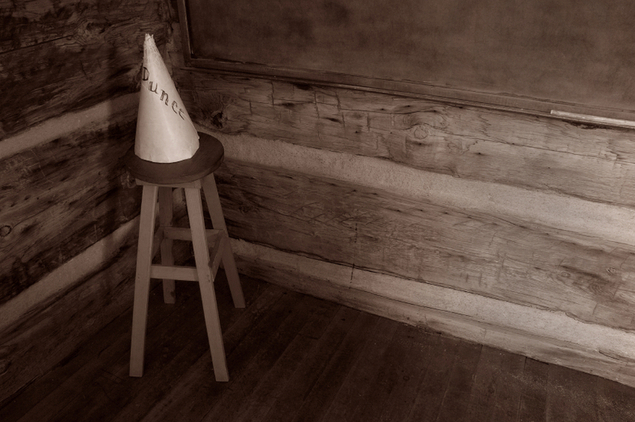 If your discussions with admissions counselors and your own research suggest that you are borderline for admittance, six or seven applications may be warranted. More are likely unnecessary – if seven of seven colleges turn you down for a competitive program, the eighth almost certainly would have as well. Remember that there is a cost in time, money and stress when sending out applications. The key to success lies in striking a balance between the factors discussed above. Brian Witte is a professional SAT tutor with Varsity Tutors. He earned his Bachelor of Science from the University of Washington and holds a Ph.D. from Ohio State University. Varsity Tutors is a live learning platform that connects students with personalized instruction to accelerate academic achievement. The company’s end-to-end offerings also include mobile learning apps, online learning environments and other tutoring and test prep-focused technologies. Got a question? Email admissionsplaybook@usnews.com. About 11 percent of student veterans enroll in private nonprofit schools, according to one study. Private universities that are members of the Yellow Ribbon Program can help make tuition more affordable for eligible students. ​When Air Force veteran Bridget Burks applied to the private nonprofit Saint Leo University in Florida, the 32-year old had a concern. “I was nervous about the cost,” says Burks, who was active-duty for four years and a reservist for two. And it makes sense. Private tuition tends to be expensive, averaging $31,381 in the 2014-2015 academic year, compared with $8,794 for in-state public tuition, according to data collected from ranked colleges in an annual U.S. News survey. Saint Leo charged more than $20,000 in tuition and fees this year. Student veterans tend to choose public universities, with just about 11 percent attending private nonprofit schools, according to data collected by Student Veterans of America, a veterans support organization. But the higher price tag doesn’t mean that private college tuition is out of reach for student veterans. “I’ve had 100 percent of my tuition covered from the beginning. And I’ve had my living expenses covered,” says Burks, who’s received a combination of funding from the Post-9/11 and Montgomery GI bills and the Yellow Ribbon Program. 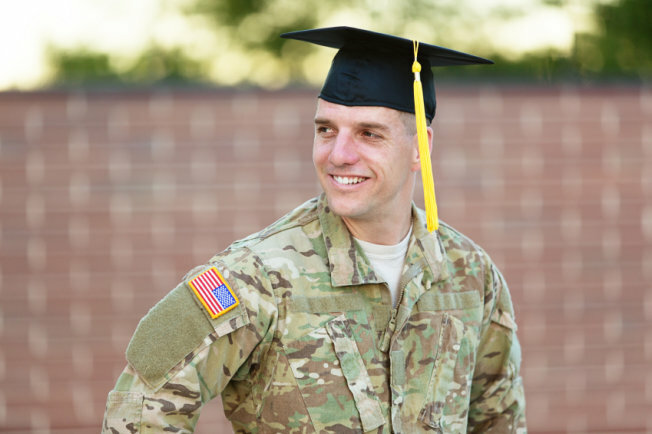 As with public school students, veterans enrolled at private universities have access to funds from various GI Bill programs, depending on the length of service, dates served and other factors. Students can get a sense of how much funding they can expect and how it will apply to tuition with the Department of Veterans Affairs’ GI Bill Comparison Tool. Those who qualify for 100 percent of the Post-9/11 GI Bill, for example, can use up to $20,235 toward a private college education this year. Plus, they can receive money for books and housing. Another financial resource for veterans who are eligible for the maximum amount under the Post-9/11 GI Bill is the Yellow Ribbon Program. Member schools cover tuition and fees that exceed GI Bill funding with the help of a match from the Department of Veterans Affairs. But the extra money may be limited to a set number of veterans and given on a first-come, first-served basis. For eligible students, the combination of these two programs can mean a full ride, even at a costly private institution. “A veteran can come to Syracuse University as a fully funded student,” says Mike Haynie, vice chancellor for veterans and military affairs at the New York school. Veterans can also qualify for civilian financial aid if they submit a Free Application for Federal Student Aid. “We recommend filling out the FAFSA and using that, in combination with benefits, to compensate the costs not met,” says Melanie Monk, a financial aid counselor and VA school certifying official, who helps certify and provide education on military benefits for both veterans and their dependents, at Virginia Wesleyan College. Students who qualify for federal Pell Grants, which run up to $5,730 depending on financial need, can use that money on top of other funding to pay school expenses, says Monk. Plus, federal loans, which experts typically recommend over private debt, may come in handy down the line. Outside scholarships that are designated for tuition expenses, on the other hand, may not be as valuable for fully funded veterans since schools must deduct the award amount when they bill Veterans Affairs. “With any scholarship or grant that goes toward tuition, the school subtracts that out from cost of tuition,” says Monk. But don’t discount them completely, says Mary Frances Causey, director of financial aid at Prescott College. A scholarship may still carry intangible benefits, such as networking opportunities and resume fodder. Student veterans might hedge the financial risks of dropping out or delaying graduation, which can exhaust their veterans benefits, by enrolling in programs geared toward nontraditional students, say experts. “We do know that there’s this trepidation toward this traditional four-year institution,” says Haynie of Syracuse. The school is working on implementing veteran-friendly policies, such as priority class registration, to ensure that student veterans can take required classes before exhausting their benefits. Another option for students who want to try out higher education before committing to a private four-year school is community college, says Haynie. Veterans can sample the higher education experience more safely on both a financial level and a lifestyle level that way, he says. Susannah Snider is an education reporter at U.S. News, covering paying for college and graduate school. You can follow her on Twitter or email her at ssnider@usnews.com. Experts recommend that veterans approach for-profit colleges with caution and ask probing questions. The Department of Defense recently put University of Phoenix on probation, restricting its access to military bases. Sarah Serrano, a veteran of the United States Marine Corps, got off to a rocky start when it came to pursuing a college degree. For-profit colleges, like the University of Phoenix, have gained notoriety for their treatment of veteran and active-duty military students. When for-profit Corinthian Colleges collapsed earlier this year, students who’d used GI Bill benefits at those colleges were unable to reclaim them. This past October, the Department of Defense put University of Phoenix on probation, which included restricting the for-profit’s access to military bases. Federal reports have described for-profit employees recruiting aggressively on and around military bases, even targeting hospitals and wounded warrior centers in an effort to enroll veterans. Industry critics say for-profits aim to bypass a rule that limits the revenue they can earn from federal dollars, including federal student loans and grants. GI Bill benefits, which veterans use to help cover educational costs, don’t count against that limit. Critics add that veterans at for-profits borrow more than they do at public and private nonprofit schools. On the flip side, advocates argue that veterans find much needed flexibility in the for-profit sector. “Costs with veterans benefits are minimal, and the programs are very quick,” says Michael Dakduk, executive vice president and director of government relations at the Association of Private Sector Colleges and Universities, the lobbying arm of for-profits. Here are a few steps veterans can take when considering a for-profit school. 1. 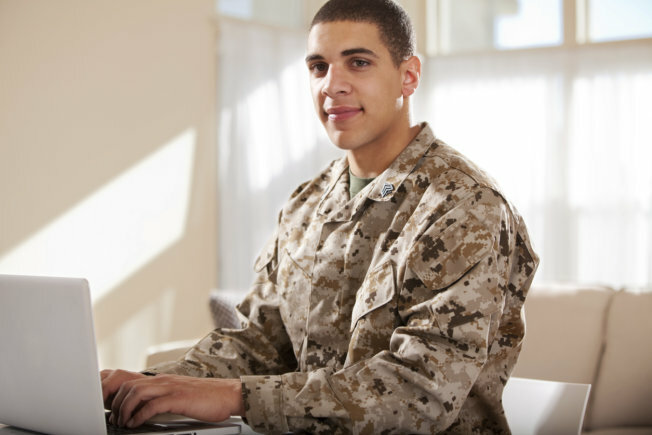 Consult the GI Bill Comparison Tool: Veterans and active-duty military looking to understand how their benefits will apply to college costs can plug their information into the GI Bill Comparison Tool. Each school’s summary provides information on whether the school is a for-profit, public or private university, costs and other information. For students worried about predatory practices at an institution, the school summary page includes the number of complaints against the institution and “caution flags,” which indicate that the school is under increased regulatory or legal scrutiny. 2. Don’t just sign on the dotted line: Veterans should be vigilant when it comes to tracking – and understanding – paperwork related to their education benefits and any other financial aid. “The first thing that I would tell any student, and we work with veterans, is ‘Don’t trust what you’re told,'” says Walter Ochinko, policy director of Veterans Education Success, a group that aims to protect the promise of the GI Bill. Ochinko tells the story of a DeVry University student who unwittingly took on $15,000 in student loans, thinking they were Pell Grants. “If you didn’t get it in writing, it didn’t really happen,” he says. 3. Ask tough questions: “Consumers should make sure they ask tough questions when choosing a school, including cost, the ability to transfer credits and whether it can qualify you for a job in the field you want,” says Seth Frotman, acting student loan ombudsman for the Consumer Financial Protection Bureau. For Serrano, the University of Phoenix student, the future is looking brighter. She recently gained admission to the University of Southern California, her dream school, after attending a workshop through the Warrior-Scholar Project, which aims to prepare veterans for the transition into the classroom. If you’re not making progress toward your online degree, talk to a financial aid counselor, says one expert. Online students have many of the same cost, financial aid and student loan questions​ as their counterparts attending brick-and-mortar schools. But some unique money questions may arise as well. “There are certainly a few regulations that online students should understand going into the process, given that so many of them are working adults, who attend college part-time,” said Susan Aldridge, president of Drexel University Online, in an email. For example, enrolling in fewer than six credits or taking a semester or two off may affect aid or trigger loan repayment, says Aldridge. Other questions may arise about how the program handles financial aid or transfers academic credits. 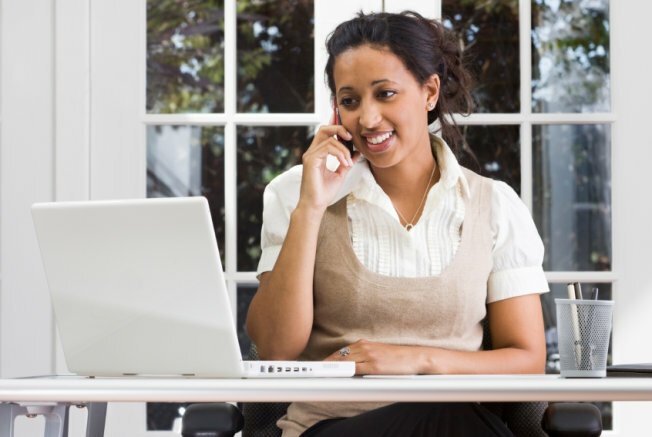 Below are five money questions that students should ask before pursuing an online degree. What is this degree going to cost me, and how am I going to pay for it? If you’re speaking with a school representative who cannot clearly give you the cost of the program, I’d suggest hanging up the phone. And don’t just think about cost over one year. You want to look at the entire experience as you would with a home or a car. Understand what it’ll cost you over the life of that program and think of loans as an investment. How does the financial aid process work within the program? At some schools the online programs are not a very big component, so they might not have specific financial aid processes that cater to those online programs. At my school, online programs are not a huge component, so I warn students that their financial aid disbursement is not going to go by the academic calendar. My online program runs on a quarterly system, but the university runs on a semester system. So, my students can start school in June but the university doesn’t start until August and they don’t disburse financial aid funds until then. That might be a deal-breaker for some students. 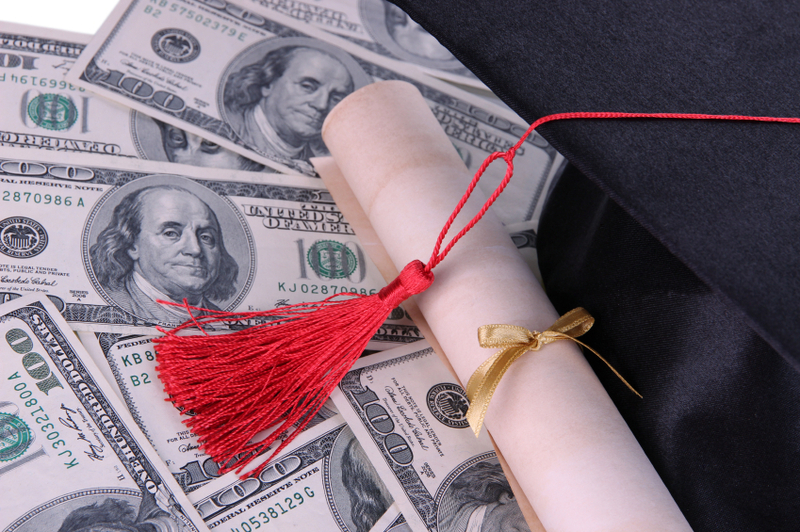 Does your chosen school maintain scholarship programs just for older online degree seekers? Look for scholarships just for online degree seekers or adult students. But be wary of Internet ads that promise scholarships for studying online but that only let students use these scholarships at one school or at a group of specific for-profit colleges. These “scholarship programs” are really advertisements paid for by the limited schools listed on the application forms. These programs are designed to get your name and contact data which is then sold for X amount to the ad client schools. The schools listed on these programs pay Internet sites upwards of $100 for each student “lead” – that’s the ad term for your contact data – the sites are able to send to their telephone call or recruitment centers. Filling out one of these forms is a great way to end up on the relentless end of a telemarketing loop or email spam operation. What happens if I need to take a break for an emergency? Ask what happens if you get out of step and need to move forward. And leave room in your schedule, so that when life happens, you can catch up. Recognize and give yourself room as a parent or someone caring for an elderly family member, whatever the circumstances. If you’re not making progress, you should immediately get in touch with the financial aid office or student services office. Financial aid has complicated regulations, and it takes a professional to help interpret them. What are the real, fixed costs of this online program? Regulations governing federal financial aid require that schools include tuition and fees, room and board, books, transportation, personal and miscellaneous expenses in their cost of attendance, even though the majority of these costs don’t apply for online institutions.